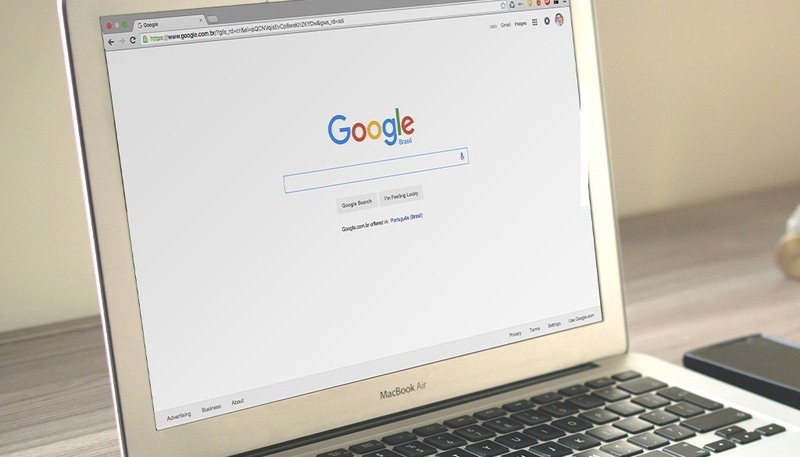 Are you looking to dominate in Google search results? Your strategy needs to involve more than keyword research and a savvy AdWords campaign. In order to make the most of your Google presence, you need to craft a search result that entices users to click through to your web page. This is a crucial yet often-ignored aspect of SEO. Believe it or not, small changes to your Google listing can make a big difference when it comes to click-through rate. Here is a detailed guide to better understanding a basic Google search listing. It’s no secret that page titles can heavily influence user behavior. But did you know that Google doesn’t always show a web page’s title tag? The title that appears in search results might be influenced by several factors. Google looks to find titles that are short, descriptive and relevant to search queries. Though they most commonly use a page’s title tag, they can also pull from page content or links pointing to the page. Try to keep your title tag short, and provide context to users in order for it to be displayed. Is your title is being cut off in the Google search results? You might need to shorten it. Maximum length for a title tag is 600 pixels, which is about 70 characters (78 for mobile); otherwise, Google will truncate it. Truncated titles are indicated by an ellipsis. You may have noticed that Google often omits parts of a URL. Google truncates URLs by removing their middle sections, even when the URL is only one line. Use short but meaningful URLs whenever possible to maximize their impact in the Google SERPs (search engine results pages). The URL is often displayed as clickable breadcrumb links. In these instances, Google displays the site’s internal hierarchical linking structure from the on-page breadcrumb navigation when those breadcrumbs are marked up using breadcrumb semantic markup. Google search listings may also include time stamps under their URL. This is a common practice for news publishers, blogs and other sites that wish to bring attention to the freshness of their content and provide the date of publication or date of last update. To integrate this, you need to add a time stamp into your page copy. You can provide Google with specific times by adding comment tags through the W3 Total Cache plugin for WordPress, which will appear something like this: Served from user @ 2017-03-03 17:15:25. You can also manually add a time tag to a page or blog post using structured data markup. Otherwise, Google will use the publication date, which is easy for Google to determine with WordPress blogs. The cached link is a fail-safe in case your website is unavailable; it is a snapshot that Google takes of each page and adds to its cache. It also serves as a backup in case a page is deleted, temporarily down or failing to load. Google has made changes to the Cached link location in recent years. Cached links are now stored next to the URL in a green down arrow. The cached link will be missing for sites that have not been indexed, as well as for sites whose owners have requested that Google not cache their content. Owners can block their page from being cached by using a meta-robots “noarchive” tag. What’s the benefit to doing this? For one thing, it can prevent users from copying your content for redistribution; people can still copy and paste content from a cached page even if you’ve blocked these functions on your site. Sites with paid content often block cached pages to prevent their content from being seen for free. Fortunately for them, pages being cached or not by Google have no bearing on overall ranking. A snippet is the description for the page that appears underneath the title. Google can obtain the snippet from either the page’s meta description tag or contextual information on the page. Like titles, the search snippet is based on the query and can be altered by different keyword searches. For example, in a search for “meta description,” the snippet below is returned for the yoast.com search result. Searching for “160 character snippet” in Google returns a very different snippet for a search result for the same page as above. Keyword bolding (known by us information retrieval geeks as “Keywords in Context” or KWIC) is also query-based and will often appear in the snippet, depending on the search term. Google currently limits a snippet to around 156 characters per search result (or 141 with a date stamp). The actual limit, in terms of total pixel width, is 928 pixels (based on 13px Arial). Snippets will be truncated and end with ellipses when they run over this limit. Often, Google will choose not to use a meta description in favor of a more relevant snippet. The snippet can come from anywhere on your page (including disparate parts of the page), so it’s important to pay close attention to your content — especially around common keywords. It’s still worth it to carefully craft a meta description. In many cases, Google will still show a quality meta description for popular searches. What makes it a quality meta description? It’s well-written, includes popular search terms and avoids redundant information, such as repetition of the title tag. Since the snippet is query-based, you need to incorporate popular, relevant search terms into both your meta description and your on-page content. You can prevent this with noindex instead of disallow. That way, Google can still crawl the page, but it will not add it to its search engine index or display it in the SERPs. Conversely, you can opt out of snippets by using the <meta name=”googlebot” content=”nosnippet”> tag on your page. Sitelinks are intended to help users navigate around websites. Google allows up to six automated sitelinks, but they are far from guaranteed for poorly optimized sites. Websites with a clear hierarchy and structure and a unique brand name are more likely to have sitelinks. As a result, you’re more likely to see sitelinks appear in search results after typing in a specific brand. Though the system is automated, the best way to get sitelinks is to reach the top overall position for your website name. A downside to using different domains (or subdomains) in your web strategy is that they won’t be included in the sitelinks. Still, the impact of sitelinks is undeniable. AdWords advertisers with sitelinks see a 20-50 percent boost in click-through rate when the search is a branded term. Small changes to a search result can have a big impact on a site’s traffic. Google search is an ever-evolving science, so rules that exist today might not exist tomorrow. For the time being, you can follow this guide to help improve your presence in the Google SERPs.